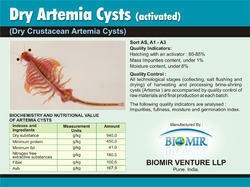 Offering you a complete choice of products which include artemia ( dry crustesian cysts) and veterinary vaccines. all technological stages (collecting , salt flushing and drying) of harvesting and processing brine-shrimp cysts (artemia ) are accompanied by quality control of raw materials and final production at each batch. The following quality indicators are analysed : impurites, fullness, moisture & germination index. 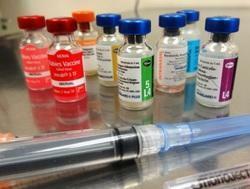 We are one of the prominent manufacturers and suppliers of Veterinary Vaccines.